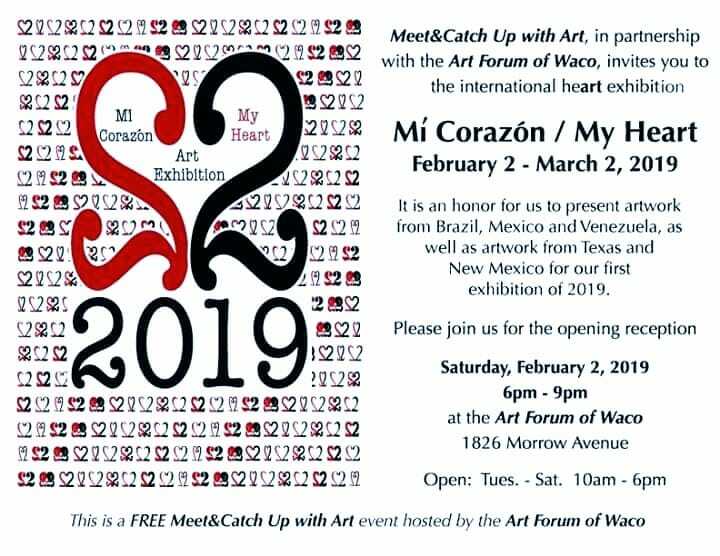 For the Valentine month, the Art Forum of Waco is hosting an international exhibit of paintings related to love in various forms of art. It is an honor for us to present artwork from Brazil, Mexico, and Venezuela, as well as artwork from Texas and New Mexico for our first exhibition of 2019. The opening reception will be Saturday, February 2, from 6 to 9 pm. Admission is free. The exhibit can also be seen Tuesday-Saturday 10 am to 6 pm through March 2.